Spring is the time for snow, rain, miserable cold and a complete lack of sun, or so it seems this year. It’s also the time for renewal in every culture of the world, some kind of cynical hope that things are actually getting better despite the fact that there’s snow in April which just shouldn’t happen. Speaking of hope, in Greek mythology humans were created by the Titans, those forebears of Zeus and the gang who are still mainly archetypal but are just starting to exhibit anthropomorphic characteristics like, well, stupidity. I’m thinking especially of Epimetheus, the Titan charged with handing out positive traits to animals and humans alike. His name means afterthought and he’s portrayed as a sort of Harpo Marx-esque bumbler who can’t do anything right, isn’t funny and can’t even play the harp. Just the person, or immortal, to entrust with such a task! So of course he screws it up. He goes around handing out positive traits to the animals, you know, things like having a warm pelt, the ability to chew a cud and I don’t know, lightfootedness or something. But he hands them all out and forgets to give anything to humans. Idiot! So his brother Prometheus (forethought) has to intervene and give us fire and civilization for which he will later be punished by Zeus and have to hang chained to a rock while a vicious, pate loving vulture eats his liver every single day until Hercules finally rescues him. And then, as if this this weren’t bad enough, Epimetheus goes and marries Pandora who opens a certain box containing all the evils of humanity including plagues, disease, famine and Adam Sandler movies. The only good thing in the box was, you guessed it, hope which springs eternal but really only serves to prolong the misery of it all. Ok, so it’s not warm and apparently won’t be for some time but on the bright side I’ve got fire and civilization and a vulture is not currently eating my liver, although the bottles of mezcal I brought back from Mexico may do the job just as well. Still, I’m not chained to a rock so that’s something. Although, now that I think about it, that’s probably just hope talking. Insidious hope. 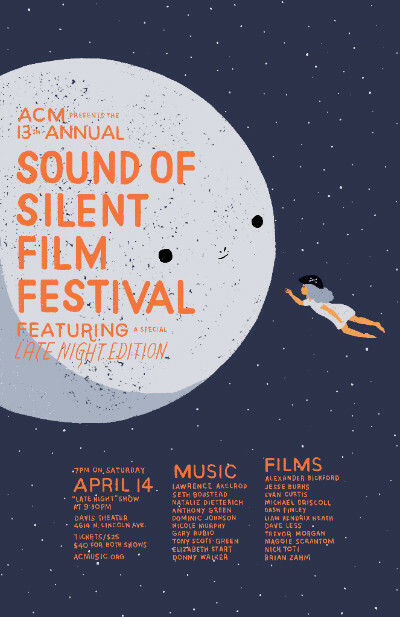 Tickets are going fast for the Sound of Silent Film Festival with more than a hundred sold already for each show. I have not one but two scores on this year and I’ll be performing them both. The first is the first film I ever scored: Manos de la Muerte, or the Hands of Death. It’s gruesome but in like a fun way. The second is a wild little ride called Frollein Frappe and I went with a kind of gothic tango meets melancholy waltz meets minor key boogie-woogie sound for it. Which was really the only way to go. There are still tickets so come on out! New York friends! 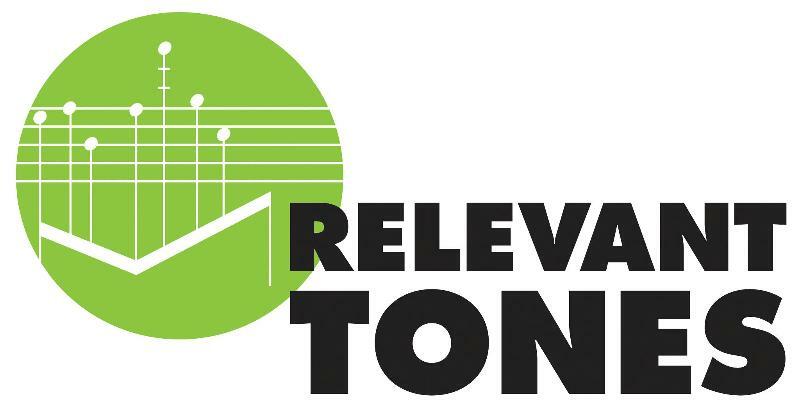 Join us May 1st for the next Relevant Tones: Live at LPR event featuring a concert of New York premieres of pieces by some of Mexico’s most distinguished composers including Mario Lavista, Gabriela Ortiz, Ana Lara and Felipe Peréz Santiago. But that’s not all! 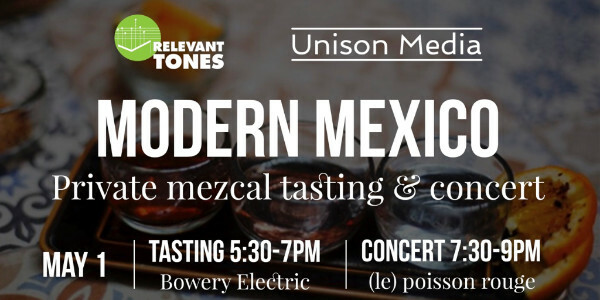 We’re celebrating our 250th episode of Relevant Tones with a pre-concert mezcal tasting led by one of the world’s foremost mezcal experts! If you’re among the first 100 people to buy a ticket you can join us for a tasting of rare mezcales led by master distiller Alejandro Aispuro who is flying up from Mexico to do the honors. ACM is having our second annual school fundraiser, the Molto Tutti Student Film Festival on April 14 at noon at the Davis Theater. Fifty-four of our young students have composed and performed original pieces and we’ve created animations for them which will get their World Premiere on the big screen. It’s the same day as the Sound of Silent Film Festival which seemed like a good idea at the time but which I realized oh about three weeks ago was actually completely insane. But thanks to ACM’s amazing staff we’ve got it under control. We’ll screen the films and then we have an incredible silent auction and all proceeds support the school’s mission of teaching musical creativity in storefront music schools throughout Chicago. Find out more here. 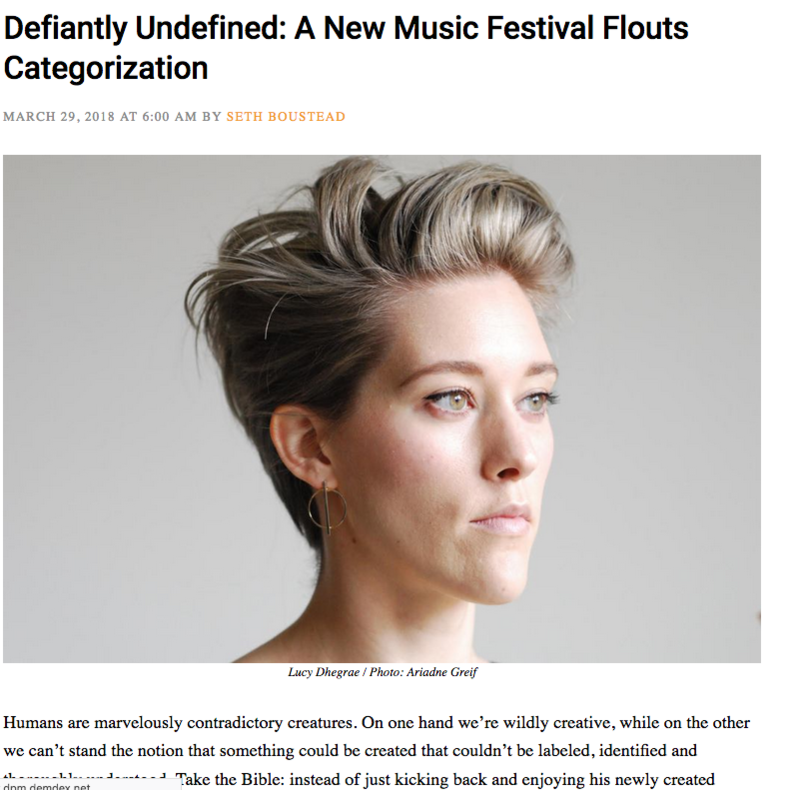 My latest article in Newcity magazine is about the stellar Resonant Bodies festival coming to Chicago this weekend. Read it here and, if you’re in Chicago, check out the festival this weekend at Constellation! I’ll be emceeing one of the concerts for the Look and Listen Festival at the Invisible Dog art center in Brooklyn. Look and Listen features entirely free musical performances in visual arts spaces throughout the city and is one of my favorite events every year. It’s an honor to be part of it. 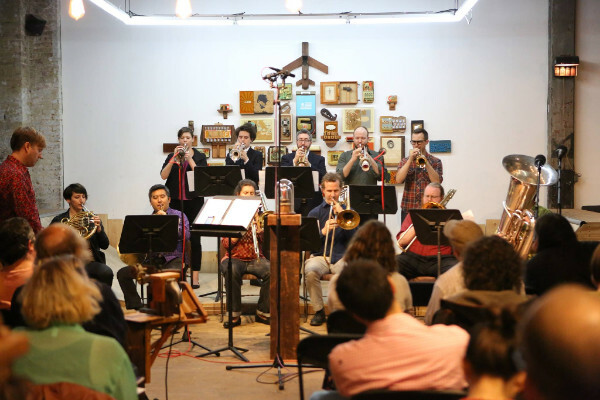 This event, on Saturday April 21 at 8:00, features Emma Sulkowicz’s installation The Floating World and music by Sofia Scheps, Evelin Ramón and Rosalie Burell among other things. It’s going to be fun! More info here. I wrote a six movement piece years ago inspired by signs. I called it Signs. This movement is Trespassers Will Be Shot, a sign I saw a lot of growing up in Missouri. This newsletter is a little later than normal in part because I fell into a two-day pit of blackness and despair during which time I could do nothing but eat salted chocolate and read old Louis L’Amour novels. This is true. I especially enjoyed The Sackett Brand. Those Sacketts are tough hombres. Looking forward to the NBA Playoffs! Houston is my team but I’ve got an eye on Toronto, Boston and scrappy Miami too. Curious about the Spurs too of course. It’s amazingly hard to find a Trespassers Will Be Shot sign online that doesn’t also say Survivors Will Be Shot Again or, even weirder, Survivors Will Be Violated. Eesh.